Hii! I've got some brand new things, well, not totally brand new: two are vintage. I bought these in Antwerp last week. 1. A blue peplum top with sleeves. love this top! A peplum top with sleeves has lovely radiance. It's from Forever21! 2. A vintage jumper. This one is so comfy and cosy. And whenever I wear this one I kinda feel like christmas hihi. 3. A vintage flannel plaid blouse. The fabric of this blouse (flannel) is so lovely: warm and soft. The vintage items are from a little shop: think twice. I know that shop for over a year now and every time around autumn everything in store is for 1-3 euros! love that! There I also bought a many sizes to big skirt, but I'm going to make a new skirt out of it because I love the fabric. Maybe I'll write a post about that. Though I didn't plan to buy blue things I ended up so: everything I bought is or has something blue. It is not a colour that I often wear, or the colour I would choose, but I love the natural thing about blue. And it does look good with my skin and hair because they are both very light. What do you think of my new items? And do you wear blue much? Die peplum top staat je goed! Stuk voor stuk leuke items! liefs! 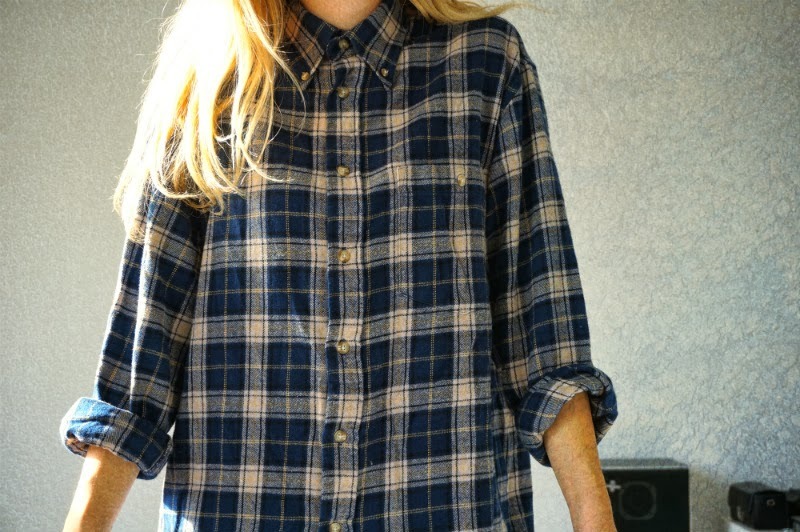 i love the flannel plaid blouse, so cute! Je peplum top is prachtig! 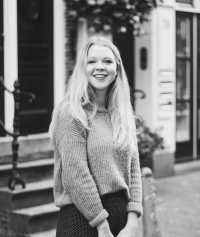 En wat vind je toch altijd leuke vintage items :) Super leuke tops alle 3! Alle 3 super leuk! Die eerste is mijn favoriet, ik zoek al best lang zo'n truitje! Hij staat je heel leuk! Love the purchases! Super cute. Wauw prachtige outfits. Mooie aankopen!